Want to brighten up your home with house plants but not sure where to start? Perhaps your home has a north-facing or lower-ground living room, or your windows are on the smaller side? Or are you looking to brighten up a dark corner of a light-starved bedroom? Whatever your reason for seeking out shade loving house plants, you're in the right place. Our general advice? Look for non-flowering species (plants need a lot of energy from the sun to produce flowers) and visit a botanical garden to see which plants are thriving at the very bottom of a tropical forest eco-system. They are the ones getting the least light – and they will do well in a shady position in your home. We have everything you need to know about houseplants in our expert guide. Zamioculcas is one the best-looking tropical plants for your home, with their distinctive, dark green fleshy leaves. Sturdy and enduring, they require little maintenance, and will be perfectly fine positioned away from a window, so long as they get some natural light. Slow-growing, this plant should live for many years. Take care not to overwater, allowing the top layer of the compost to dry out between watering. As with other house plants, avoid moving it too often. Plant in well-draining soil that isn't too compact. Aspidistra elatior has a common name of 'Cast Iron Plant', which will give you an idea of its survival potential. Once a symbol of staid suburban life, aspidistras are enjoying something of a revival. 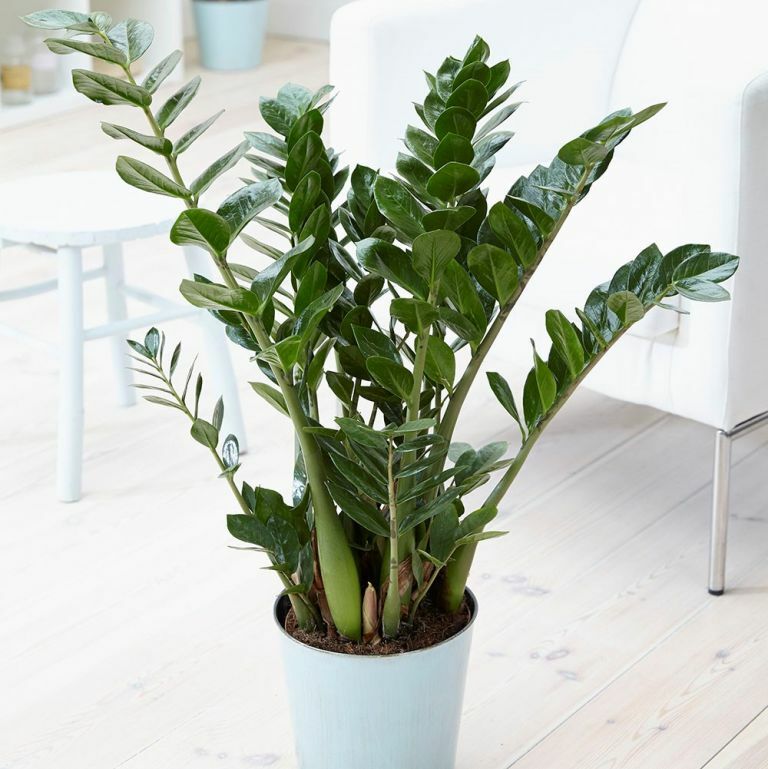 They have attractive, glossy green leaves, require very little maintenance – and actively dislike bright light, making them perfect for darker rooms. Aspidistras mainly need a good start – namely, good compost – to flourish. After that, you just need to water them occasionally, but not too often. Dracaenas, or 'dragon plant' as they are sometimes called, are another excellent option for darker spots. They do need some indirect light, and we've found they do quite well on the floor somewhere in the vicinity of a window. These nicely shaped plants look a bit like mini palm trees and make great statement plants when large. Dracaenas like being well watered, and, like other tropical plants with blade-shaped leaves, they like having their leaves misted with water. Avoid buying these plants for households with pets: cats especially love chewing on the blade-shaped leaves, sometimes injuring themselves in the process. Maranta Leuconeura is known as the 'Prayer plant' due to its fascinating ability to lift its leaves at night. Marantas are very pretty plants, too, with beautifully veined leaves. When left to its own devices, this type of maranta will develop a trailing/creeping habit (these plants grow as ground cover in tropical forests). Marantas like plenty of water and humidity, but make sure the plant isn't waterlogged. Mist regularly. In our experience, marantas do perfectly well on bookshelves or coffee tables, and don't necessarily require bright light, just some natural light. The String of Hearts (Ceropegia linearis) plant has become very popular in recent years due to its attractive trailing habit and small, heart-shaped leaves in a beautiful sage colour. Not technically classified as a shade-loving plant, in our experience, it does perfectly fine on a shelf reasonably close, but not necessarily next to a window. Also does well suspended from the ceiling in a kitchen. Water very sparingly, especially in winter. This plant requires compost specifically for succulents/cacti.